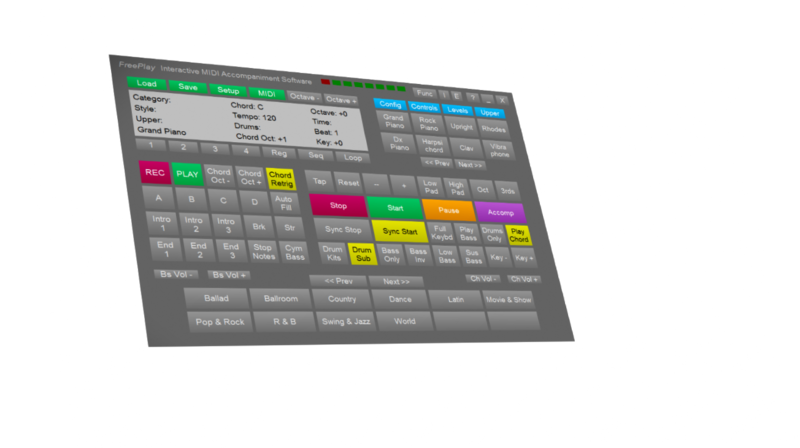 FreePlay works with any MIDl-compatible music keyboard and sound module (Yamaha, Roland, Korg, Ketron, etc.) to duplicate the functionality of an arranger keyboard. Choose from thousands of free styles online to play with or create your own using a standard MIDI file. Use it as your virtual backup band for playing solo gigs. Learn to play in various musical styles. Compose songs by getting ideas while you improvise. Try out style files just as if you were using an arranger keyboard. Improve your ability to solo and improvise over chord changes. 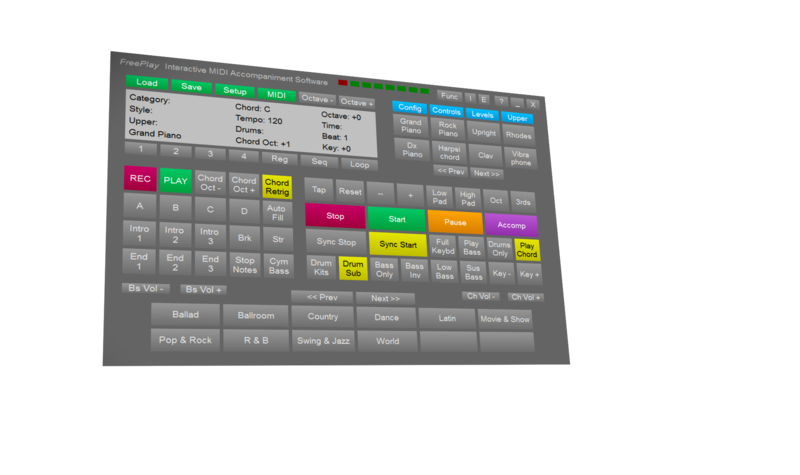 Unique screen panel layout for easy access to controls during live performance. Ability to configure button controls, sliders, etc. to work with a MIDI controller. Supports widely available .STY style files and MIDI styles. Create chord sequences for automatic playback and practicing. 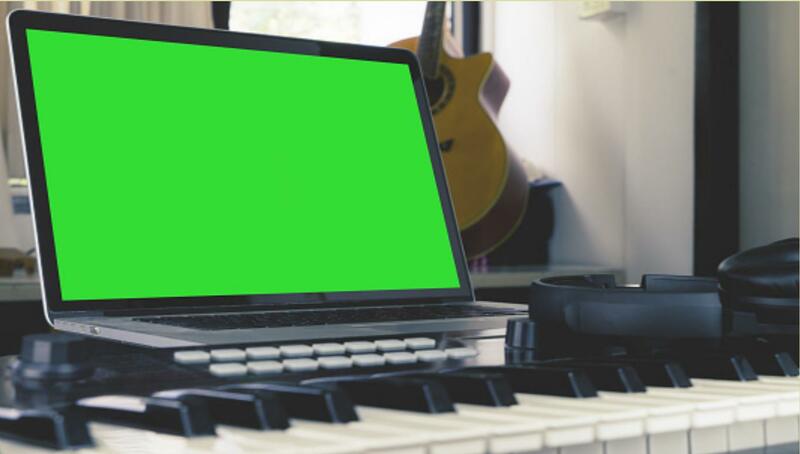 Advanced performance features not always available on arranger keyboards. Supports up to 3 MIDI keyboard devices including pedal board. Enhanced sound module controls panel. FreePlay runs on Microsoft Windows XP, Vista, Versions 7, 8, and 10. GM (General MIDI) sound module or keyboard with built in GM sounds or Windows SoundFonts. Download the 10-day trial version of FreePlay for free. Register for support and updates.